Construction contracts are replete with language designed to make sure all the parties involved in a construction project are covered by insurance. Typically, the owner requires the general contractor – or the general contractor requires the subcontractor, as the case may be – to purchase and maintain commercial general liability insurance. 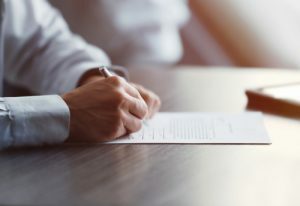 This clause often includes language requiring that the party purchasing the insurance name those “upstream” from them as additional insureds on the policy and provide a certificate of liability insurance. This last requirement, however, can provide a false sense of security to the certificate holder. Certificates of insurance are designed to provide evidence to the party requiring that it be named as an additional insured that the coverage is actually in place. Because of the manner in which Certificates of Insurance are typically generated and the legal unenforceability of the document, the certificates themselves are almost worthless though. A formal Certificate of Insurance is typically a one-page document generated by the insurance agent of the party purchasing the insurance policy. It is usually, but not always, created at the time the insurance is put in place. Critically, the insurance company has no role in producing the document and is not bound by the terms of the certificate. Simply stated, it is effectively the insurance broker representing that he or she purchased the coverage which is outlined in the certificate. A Certificate of Insurance does not bind coverage or account for changes in circumstances after the certificate is produced. Consider what happens if the policy holder changes insurance companies or stops paying the premium? The answer ranges from the practical problem of identifying the proper insurer to which a loss should be reported to there being no coverage at all. The only way to avoid being a “phantom” additional insured is for the party demanding such coverage to insist upon being provided a copy of the policy and all endorsements to that policy. In so doing, the identity of the insurance company is clearly defined, there is evidence the coverage was actually put in place, and a copy of the policy is readily available should you need to make a claim. If you cannot get a copy of the entire policy, insisting on receiving a copy of the Declarations Page for the policy is the next best thing. You won’t know the specifics of the coverage; but you will be able to confirm the policy exists, assess coverage limits, and make sure the additional insured endorsement was purchased. Insurance can be a very good tool to reallocate risk. Like any other tool used in construction though, it must be in the metaphorical tool box for use. Accepting a Certificate of Insurance as proof the required insurance was purchased can be the functional equivalent of trying to hammer a nail with a picture of a hammer. It’s usually a better idea to just make sure you have the actual hammer. If you have any questions on this or other construction issues please contact me. Josh Quinter is a commercial litigation and business planning lawyer with a focus on construction law. 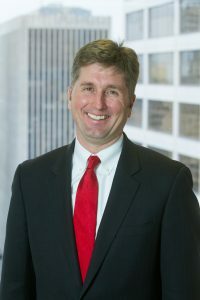 Mr. Quinter actively works with his clients in the areas of business planning, contract negotiation and project consulting, risk management and dispute resolution, and litigation. His client service and professionalism have earned him the distinction of being named a Pennsylvania Super Lawyer, a Lawyer on the Fast Track, and a Rising Star.